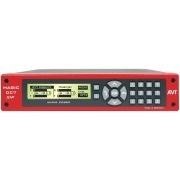 The Dual-7-kHz Audio Codec MAGIC DC7 XIP provides a LAN, an ISDN BRI and an X.21 interface. 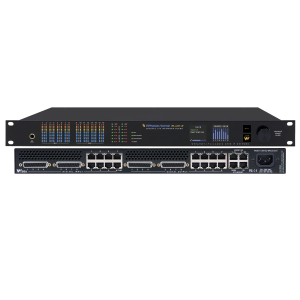 Two 7-kHz connections with different partners can be simultaneously established via ISDN or IP. 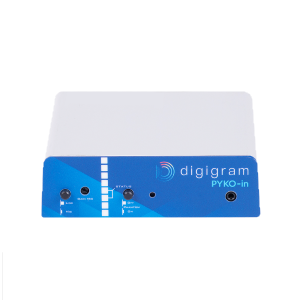 From software version 3.000 upwards MAGIC DC7 XIP provides the so-called ISDN/SIP Auto Mode. Using this mode the system detects automatically via which line interface (ISDN or LAN) a call is received. Complete system operation is possible via the integrated front keypad with display. The intuitive user interface guarantuees a user-friendly operation. In the integrated telephone book, you can store a transmission mode together with each telephone number. 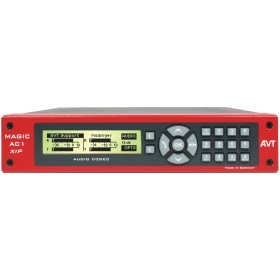 Alternatively, the system can be configured and controlled with the MAGIC DC7/AC1 Windows PC Software or the MAGIC DC7/AC1 LAN Windows PC Software. 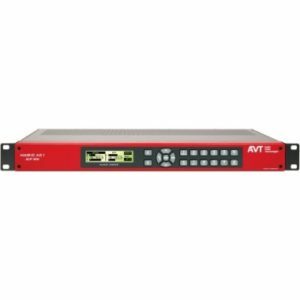 The LAN software allows simultaneous monitoring, configuration and control of up to 10 Audio Codecs within a network. Individual systems can be dynamically selected for Audio transmissions. System errors are automatically reported and filed.